In 1972 organ donation is in its infancy and Daisy Howard, who is giving a kidney to her aunt, is in the hands of a pioneering surgeon. After the operation, Daisy is desperate to get back to her family, yet the days go by and she remains in the hospital; meanwhile, an old friend keeps visiting with news of home, and Daisy becomes increasingly uneasy. How much can a friend in need really ask for? And how much can we really forgive them? 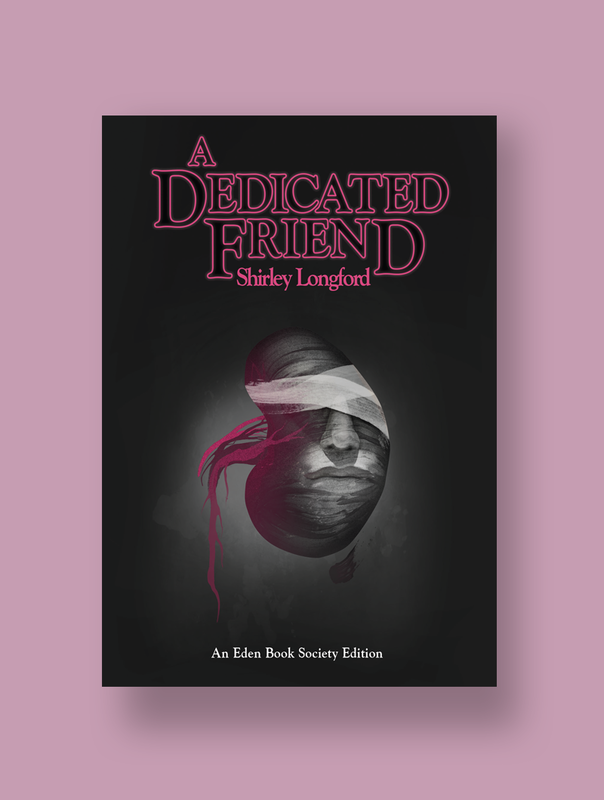 Shirley Longford was a prolific writer of children’s fiction under a variety of pseudonyms. Published in 1972 by The Eden Book Society, A Dedicated Friend was her first and only foray into horror writing. A chilling and suspenseful story of misplaced trust, reading the book now, over 45 years since first publication, a wider question becomes apparent: what use is technological progress when we remain as cruel as ever? This book is part of The Eden Book Society.